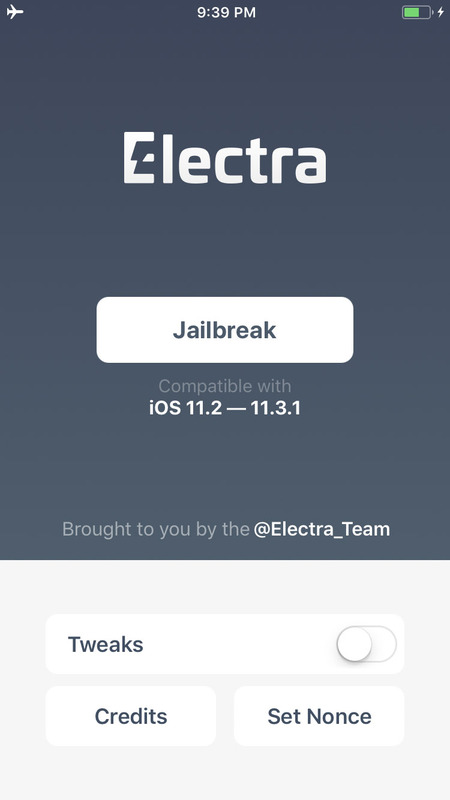 So, the long awaited Electra Jailbreak iPA for iOS 11.3.1 and 11.2 is available for all iPhone, iPad and iPod users. You can now jailbreak your devices running on iOS 11.2 upto 11.3.1 using Electra 1131. It works with all iOS devices, iPhone, iPad, iPod, both 32 bit and 64 bit. If you are on iOS version older than 11.2 than you need to use previous Electra iOS 11 jailbreak. This jailbreak has beed developed by “Ian Beer”, so lots of thanks. Now if you want to install Electra 1131 Jailbreak ipa for iOS 11.3.1 then it’s not so difficult. You may be familiar with IPA files. All you need to do is download the Electra Jailbreak ipa file and install it on your phone via cydia impactor. After that you need to open the installed app and tap on the jailbreak button. That’s it. A step by step process is given in this tutorial. The latest Electra Jailbreak works with iOS 11.3.1 down to 11.2. And its a Semi-Untethered jailbreak meaning that with jailbreak will vanish if phone reboots and you have to jailbreak it again. There are two version of Electra iOS 11.3.1 jailbreak. 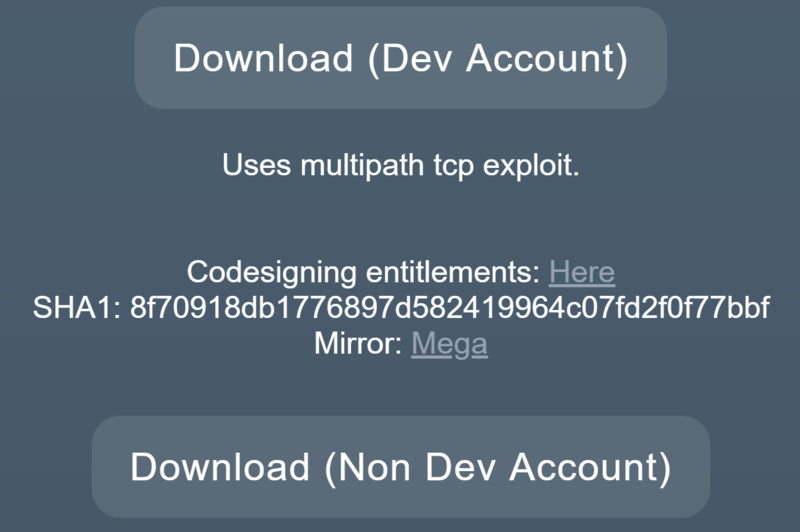 Multipath tcp exploit: For users who have Developer account. Provides higher success jailbreak rate. VFS exploit: for non developer account users. To jailbreak your device, follow these steps. Check the device compatibility first in above chart. 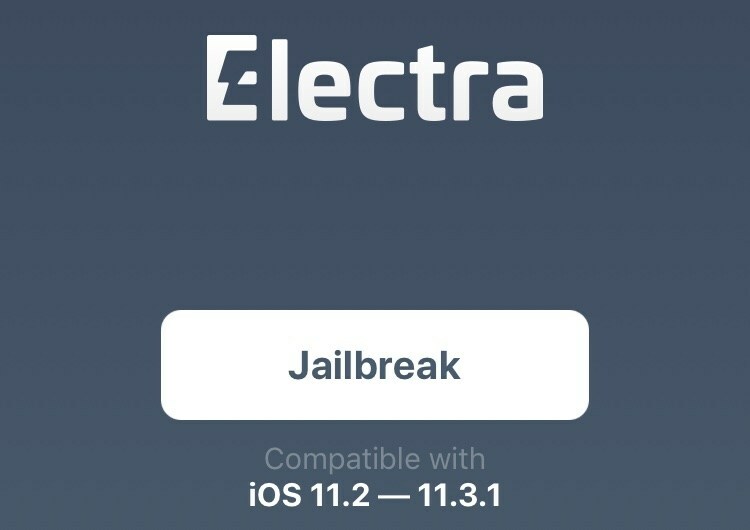 Download the Electra 1131 ipa jailbreak file from below download link. You will have two version to chose from, if you have a Apple Developer account, chose “Download (Dev Account)” option. If you do not have developer account then chose “Download (Non Dev Account)”. Now once you have downloaded the Electra iOS 11.3 jailbreak ipa file. Download and Launch Cydia Impactor on your PC or Mac. Connect iDevice to the PC. Now drag the Electra 1131 ipa file on to cydia impactor. Cydia Impactor will now start installing the electra app on your Phone. When the installation is completed, disconnect the phone. On your iPhone, iPad or iPod, Go to Settings>>General>>Profile and Device Management. Here trust the profile of electra app. Put your device in Airplane Mode. Close all the background running apps or recent apps on your iPhone, iPad or iPod. Launch the Electra Jailbreak app that you installed ins part 1. You can download the electra jailbreak iOS 11.2/11.3.1 from the official site. That’s all. Having any problem with Electra 1131 IPA Jailbreak for iOS 11.3.1/11.2 then drop comments quickly. Share it with your friends.